Rare offering of a sophisticated European style townhouse with an international cache. Situated on Normandie Terrace, a private cul-de-sac of exclusive homes, with only a select few offering beautiful views, high up on prestigious Pacific Heights. Enjoy nearby Fillmore & Union Street shopping, dining & entertainment and easy access to the Financial District and downtown as well as the Golden Gate Bridge and Marin. Originally built in 1938, designed by John H. Ahnden, this is an architectural jewel, with spacious, light-filled, beautifully proportioned rooms. 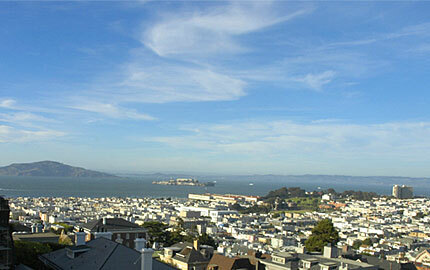 There are expansive views of the Bay, Alcatraz, and the City from all three levels. 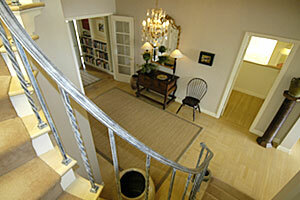 Lovely Entry Hall with curved staircase includes elegant leaded glass windows. Large VIEW LIVING ROOM faces “stage set” water and city vistas. 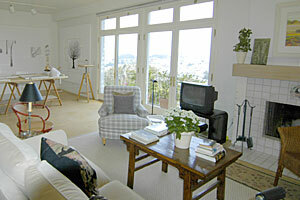 Marble fireplace, moldings and elegant floor to ceiling curved French doors that open onto the view balcony. French doors lead to the formal DINING ROOM with elegant windows, wrought iron balcony and handsome bookcases. The open sunny gourmet KITCHEN has been remodeled with quality appliances and built-in custom cabinetry, including lighted glass display case, butler's pantry with wet bar and cozy family/media area with wood burning fireplace. Powder room. Beautiful parquet floors extend throughout. The second floor is comprised of a generous hall and three bedrooms with adjoining baths. The large VIEW MASTER SUITE has a sitting area, impressive views and adjoins “his and her” dressing rooms and master bath. 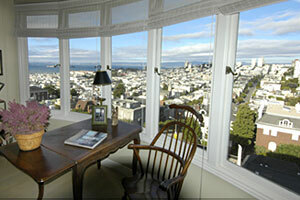 Oversized windows frame the beautiful water and city vistas for sensational bedroom outlooks and morning light. 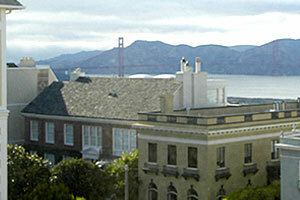 The second bedroom is spacious with a full Golden Gate Bridge view, dressing room and bath. The third bedroom also has wonderful light and an adjoining bath. 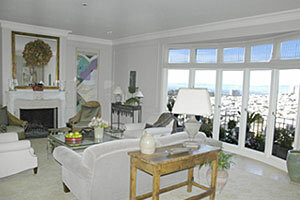 The FAMILY ROOM/ARTIST'S STUDIO is sunny and spacious with French doors opening to the landscaped balcony and view of the City, Alcatraz, and the Bay. There is a wood-burning fireplace and inviting sitting area. The two car side-by-side GARAGE, washer/dryer, and extensive storage complete this level. 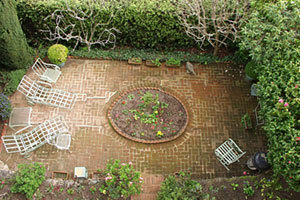 A side door leads down to the sunny, sheltered, east PATIO/GARDEN. A gardener's room offers extra storage. 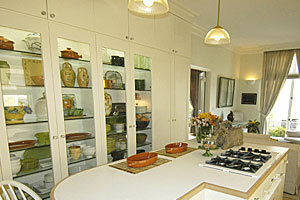 Recessed lighting, high ceilings, beautiful moldings, parquet & hardwood floors throughout the house.